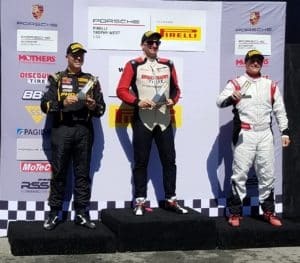 MONTEREY, Calif. – Loren Beggs took his second overall Pirelli Trophy West USA victory of the season in an action-packed Race 12 at WeatherTech Raceway Laguna Seca. 34 cars took the green flag in five classes: three GT3 classes (Diamond/ Diamond Masters for 2017-18 second-generation Porsche 991 GT3 Cup machines, Platinum Class for 2015-16 Porsche 991 GT3 Cup cars, and the Gold Class for 2010-2013 997.2 GT3 Cup Cars) and two GT4 classes (Silver Class Porsche Cayman ClubSport GT4 MR and Bronze Class Cayman GT4 Trophy). Loren Beggs, driving the No. 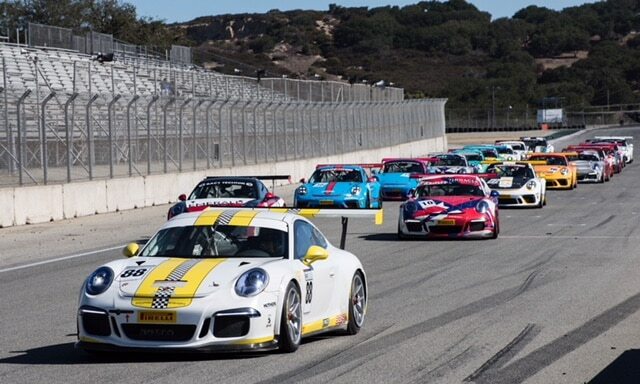 08 911 Design Porsche, once again started on the GT3 pole, and immediately had his mirrors filled by Saturday’s race winner (and championship leader) Kevin Woods. The pair soon distanced themselves from the field, with Woods working as hard as he could to force the veteran Beggs into a mistake. Instead, it was Woods who went off in Turn 5 as he brought out a full course caution following contact with the tire barrier. 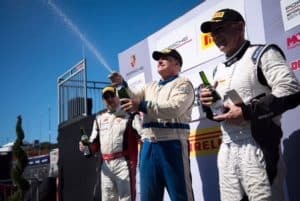 As the field returned to green two laps later, Beggs maintained his advantage over Competition Motorsports’ Sean McAlister all the way to the finish line to claim his second win of the season. It was redemption for Beggs, who spun on the first lap of Saturday’s race, though he came back through the field to finish second in class. 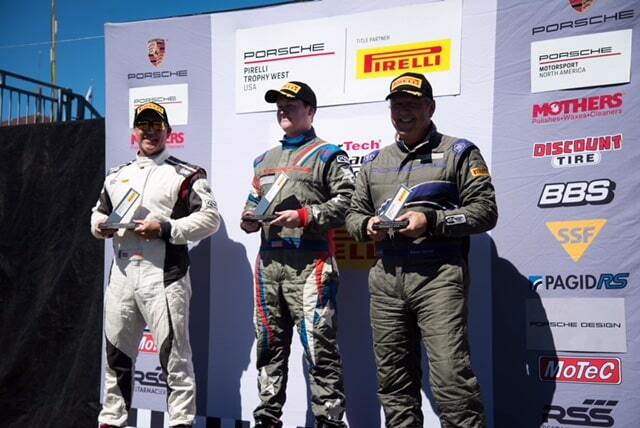 In Diamond Masters, Michael Zuieback led Preston Calvert to the green flag, just ahead of Jim Walsh, Doug Baron and Will Tait. Zuieback, driving the No. 2 Discount Tire/Competition Motorsports Porsche, kept the class train behind him, taking his sixth class win of the season and third overall. Ross Jaffe put his No. 91 TruSpeed Autosport Porsche onto the Gold Class pole and held off Saturday’s race winner Ranson Webster for his first series win – in his first ever Porsche race. 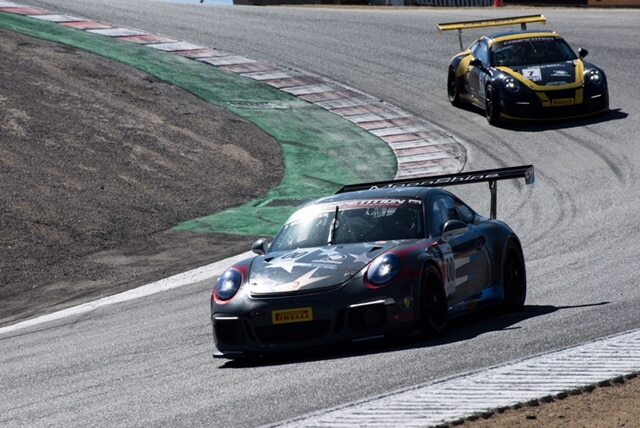 Black Sheep Racing’s Laura Ely started on the GT4 pole, with Chris Bellomo (The Racer’s Group) alongside. 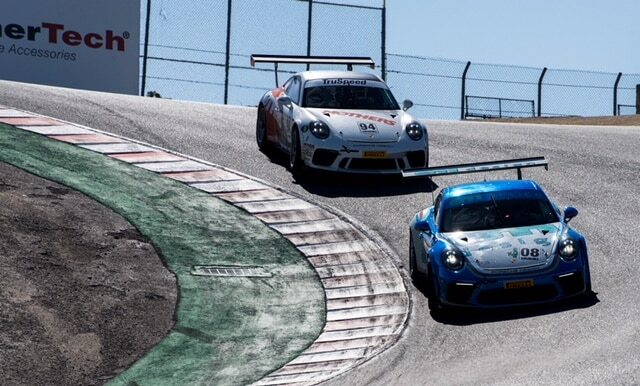 Bellomo edged ahead on outside at the green flag but couldn’t hold the position around the outside in Turn 2. The pair once again battled nose-to-tail for the entire race, including a final lap that saw two lead changes and a drag race to the finish. Ely bested Bellomo for the overall and Bronze Class win, with Bellomo taking the Silver Class victory. 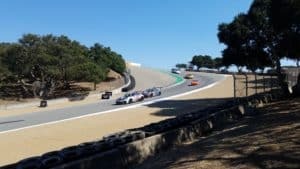 Competent Motorsport’s Greg Franz appreciated the support all weekend from IMSA, the racetrack, and the huge numbers of sports car fans who came out to see the racing action.